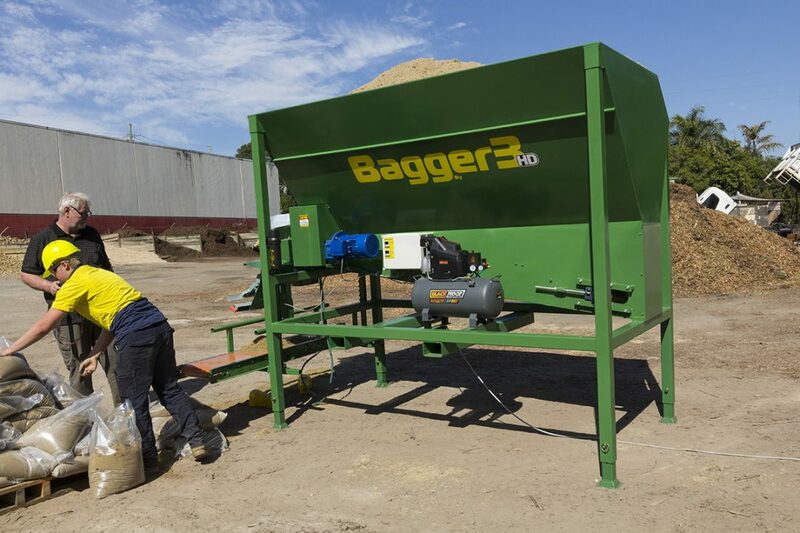 The Bagger 3 HD is a flexible, multi-use machine for filling both 1 tonne sandbags and 10/20/25 KG bags, it’s flexible heavy duty design, can hold 3 m³ of sand in the hopper and can reduce sandbagging to a one-man operation, also available is a companion loading conveyor as a companion product that lets you fill the hopper with smaller equipment like a dingo, kanga or bobcat just as easy filling using a skid steer loader. 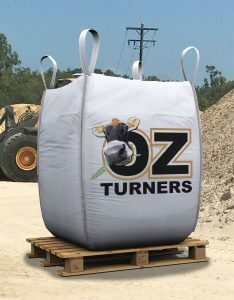 Sandbags, Builders Bags, 1 tonne bag, Bulka Bag, Jumbo Bag call them whatever you like, the Bagger 3 HD from OZ Turners is should be on your list of bulk/sandbag filling systems The Bagger 3 HD reduces the risk of injury staff and minimise wasted time by making each bag filling operation fast and easy while maximising production efficiency. It perfect for Landscape Suppliers & Building Suppliers, suppling bulk sandbag and other products for building sites. It is also ideal for Quarries selling special products. 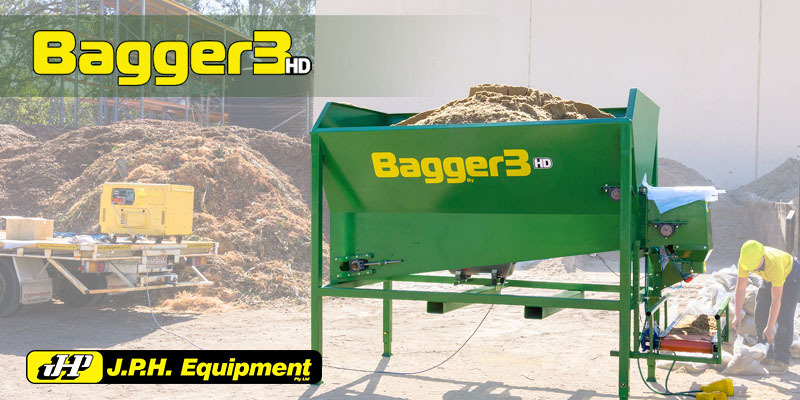 The Bagger 3 HD is a Australian-Made and designed to fill Mulch, compost, stone, potting mix, garden mix, grain, manure, sand, soil, gravel, stone, woodchip, scoria, stock feed, rock, pebble, sawdust, metal dust, salt, stock feed, dirt, bark and more. 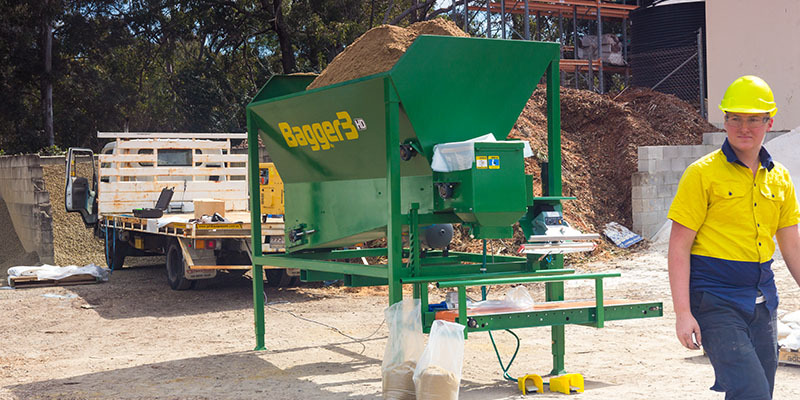 The Bagger 3 hopper is made from 4mm plate and heavy duty square tubing for the supports. 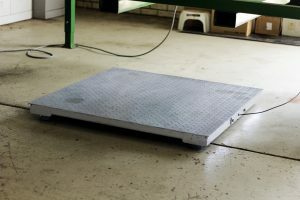 The machine is fitted with a height adjustable galvanised roller conveyor table for filling small size bags. A 2.2kw motor turns the heavy duty feed belt and it is also fitted with it’s own compressor for the pneumatic foot pedals which operate the bag holding and the 600mm wide sealing unit. 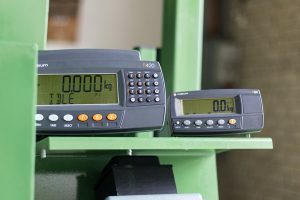 An easy to use digital fill timer is attached, which allows timing to 1/100 seconds, ensuring and even bag fill. Forklift inserts are also attached to allow safety in moving the unit around to your desired position. The 3 cubic metre hopper can easily be filled by a front end loader or skid steer (bobcat).